Great boot. Comfy right out of the box. Upper leather is still kind of stiff but I think they’ll break in pretty easy. 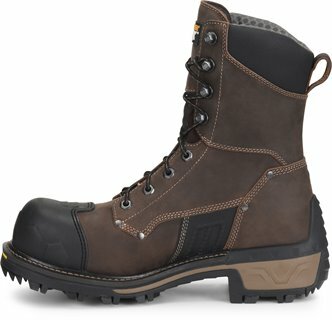 Boots are also pretty light for being so heavy duty. Very happy with product and their service. Will purchase from them again. 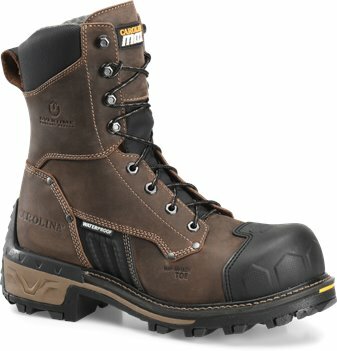 Really like these boots, hope they wear as good as they feel. If they do I would definitely buy them again. Let me start by saying, I have been wearing Carolina logger boots for many years. I was a little nervous about buying this new style boot. WOW!! I’m glad I gave them a try. They are extremely comfortable and they look awesome. The need a little time to get broken in because the leather around the ankle areas is stiff. I will order another pair of these.